1. Adopt high-efficiency hydraulic distribution rectifier components. Through the different structure and size design of the hydraulic distribution rectifier components, different slurry flow conditions can be adjusted and controlled to meet the requirements of different process conditions. 2. The use of narrow runners produces controlled, fine turbulence. The use of narrow runners in the outlet section of the headbox allows turbulence in the outlet flow to be controlled to produce turbulent flow of a fine size, which is more pronounced in the headbox. 3. Configure external pulse attenuation device. One of the weaknesses of a full-flow headbox is its sensitivity to pressure pulsations. 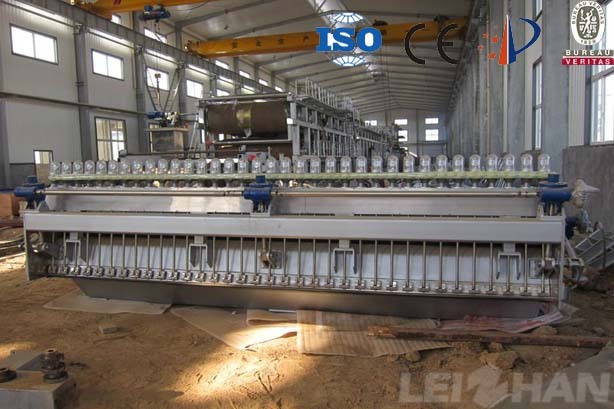 Therefore, in addition to improving the headbox itself, the effective method is to add an automatic pulse attenuator outside the machine. 4. The slice of the headbox is unaffected by pressure, temperature and lip opening, to ensure that the banners are evenly distributed, easy clean.